The words," kids and crafts," just naturally go together because most kids love to do crafts, or as my grandkids say, "Projects." 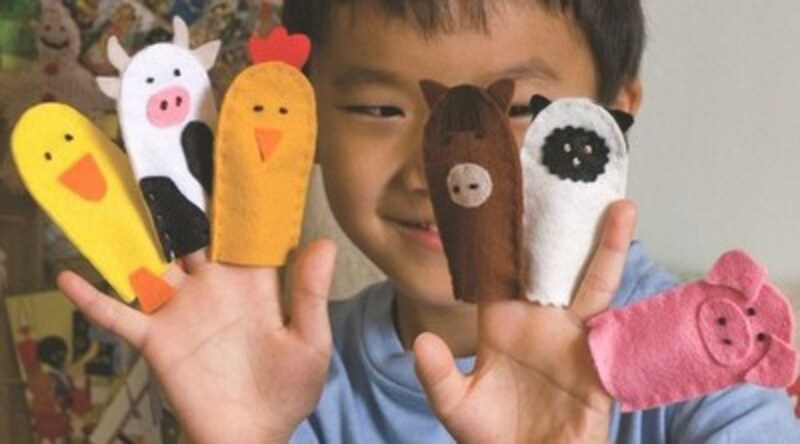 Although kids like the togetherness of doing crafts with a teacher or a family member, sometimes they would like to make crafts without adult help. Usually a kid eight years and older is capable of doing crafts on their own, if the supplies are available. Maybe they are planning to make a gift for Mother's Day or Father's Day or a gift for a friend. With this in mind, I searched Google looking especially for crafts that could be made by kids without help from an adult. 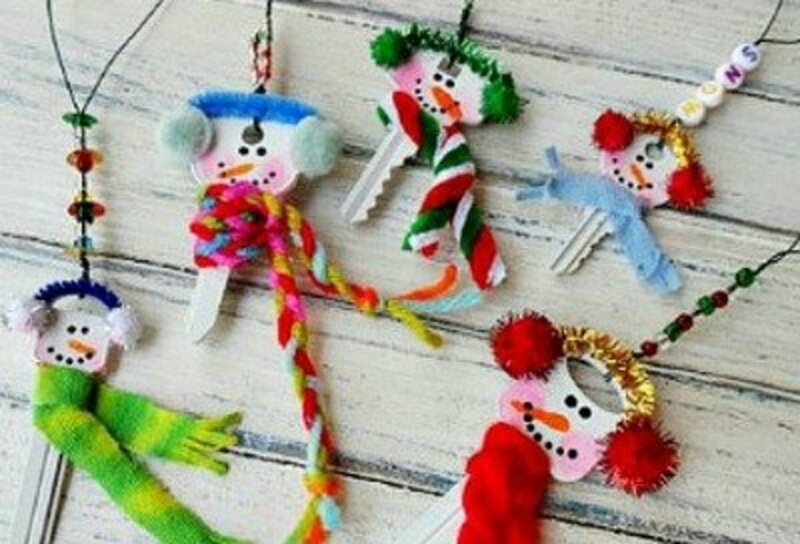 In this article, about crafts for kids, I'm sharing with you a number of craft projects that answer these criteria. For the directions to make the cute "Love Bugs" shown above, go to Let's Explore. 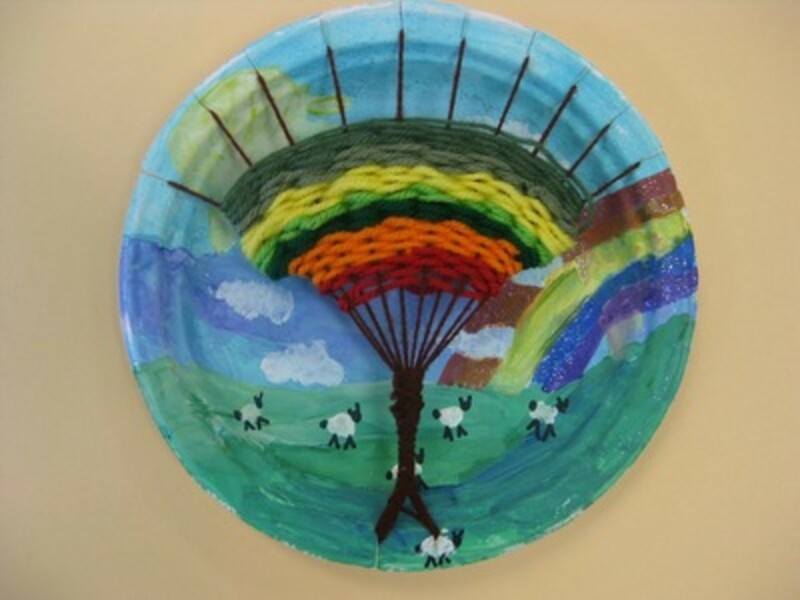 Notice that the paper plate used in this project is a Chinet plate. I believe they are used because they're better for cutting notches in, and I imagine better for painting on. 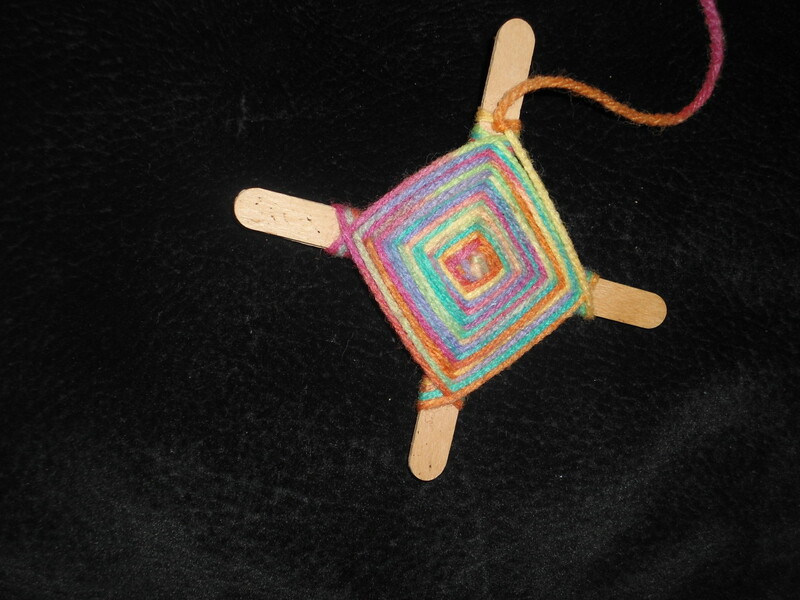 Find the instructions for doing this tree weaving at Cassie Stephens. This would make a beautiful gift for mom, dad or a friend. Tape a paper clip to the back of the plate so it can be hung. 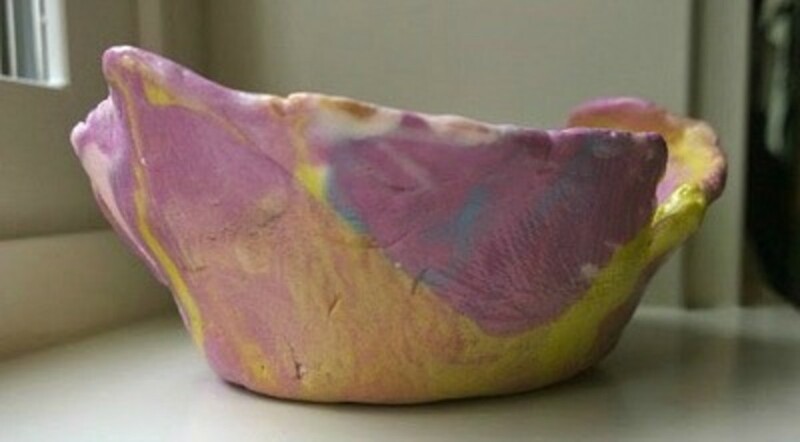 You'll find a simple, easy to make clay recipe when you go to the DE TOUT ET DE RIEN site for the instructions to make this clay bowl. You can also use this air dry clay recipe to make animals or gnomes. 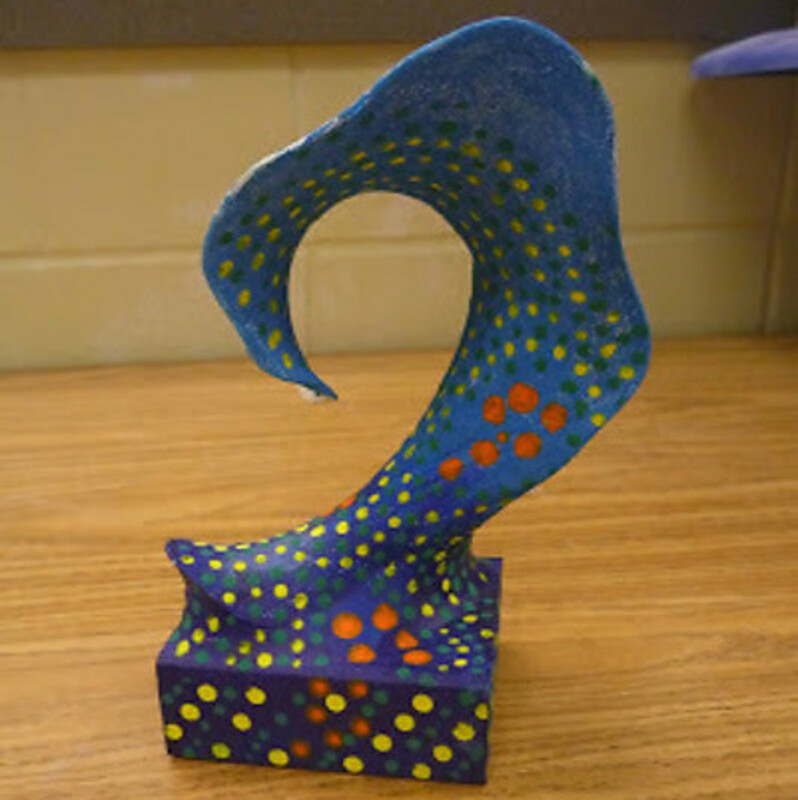 For this abstract sculpture project, younger kids may need a little help to start because a wire coat hanger needs to be bent into a shape and then attached to a wood block. Find the instructions for making this abstract art, with an aboriginal bent, at Splatters and Smudges. I think any Mom or grandma would love to have a tote which shows the artistic talents of their child or grandchild. The hand painted tote shown above is very simple using tape to keep the colors straight, but an original painting on the tote would be welcome too. 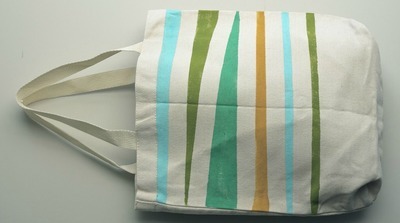 Find the tutorial for making a hand painted tote at CAPTAIN CRAFTY . You can make this mini-book with the directions from thecreativeplace. Another idea for the cards would be to use old playing cards, that have some missing, to glue pictures and papers to. 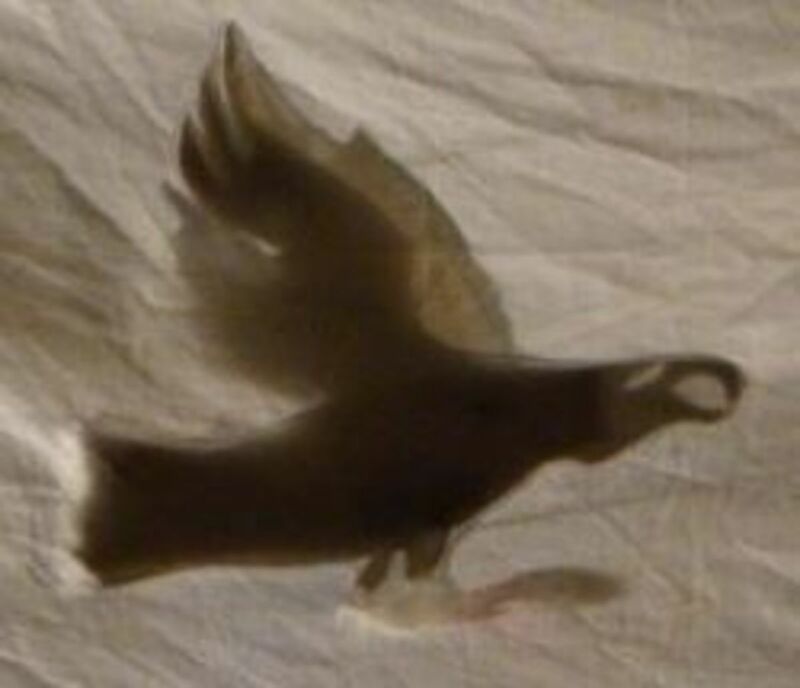 Remember that if you don't have Mod Podge you can thin down white glue with a bit of water instead. 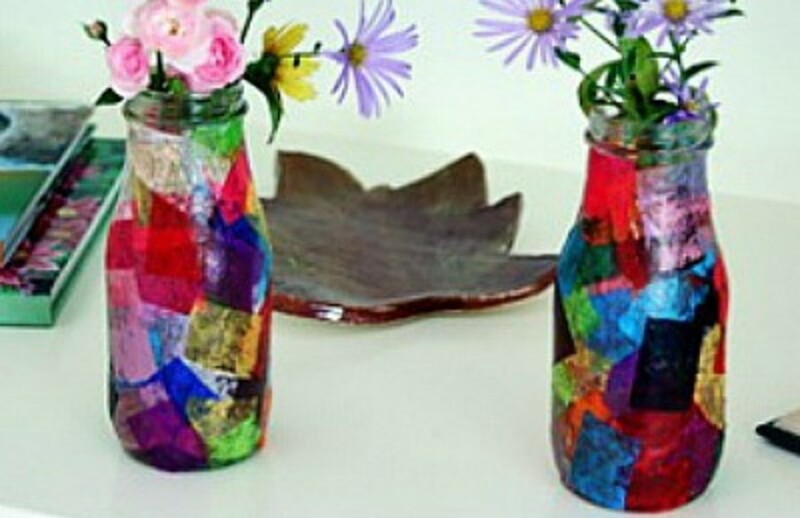 Try using one tablespoon of water to three tablespoons of white glue instead of Mod Podge. To see how the vases are made, go to Let’s Explore. There are directions for making the tray, the smooth cup and the clay cup on the Lake Forest-Lake Buff Patch site. If you don't have a wooden try, consider using a shoe box lid. A tin can for the smooth cup and the clay cup. Nice gift idea! 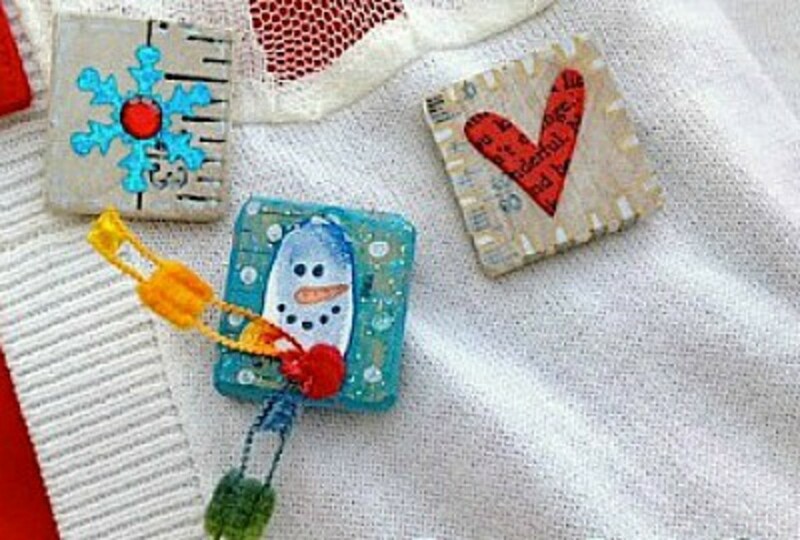 Make cute button snowman ornaments. 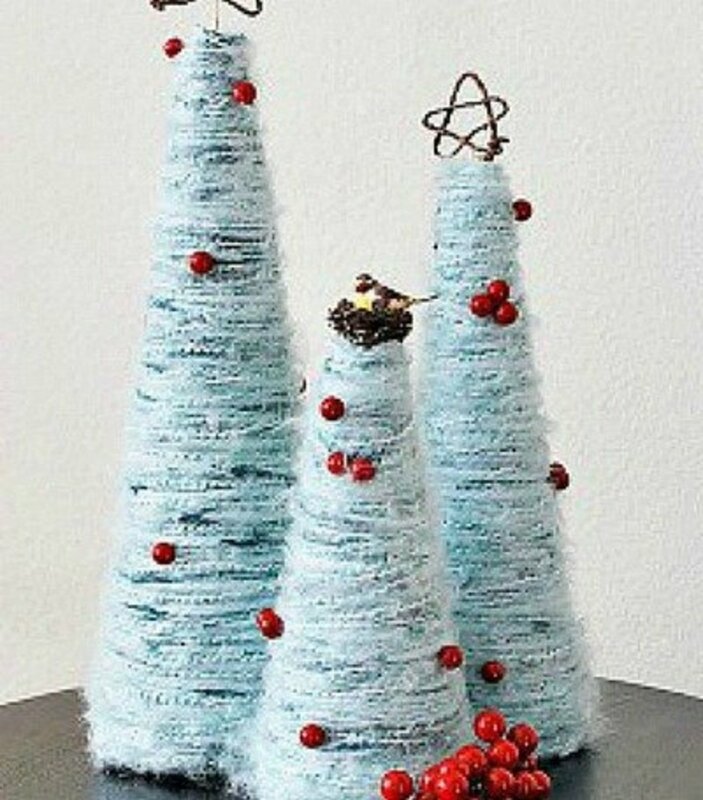 This project is found at 365 Days of Crafts. Make a handprint like this and amaze your friends. They'll never guess how you did it. 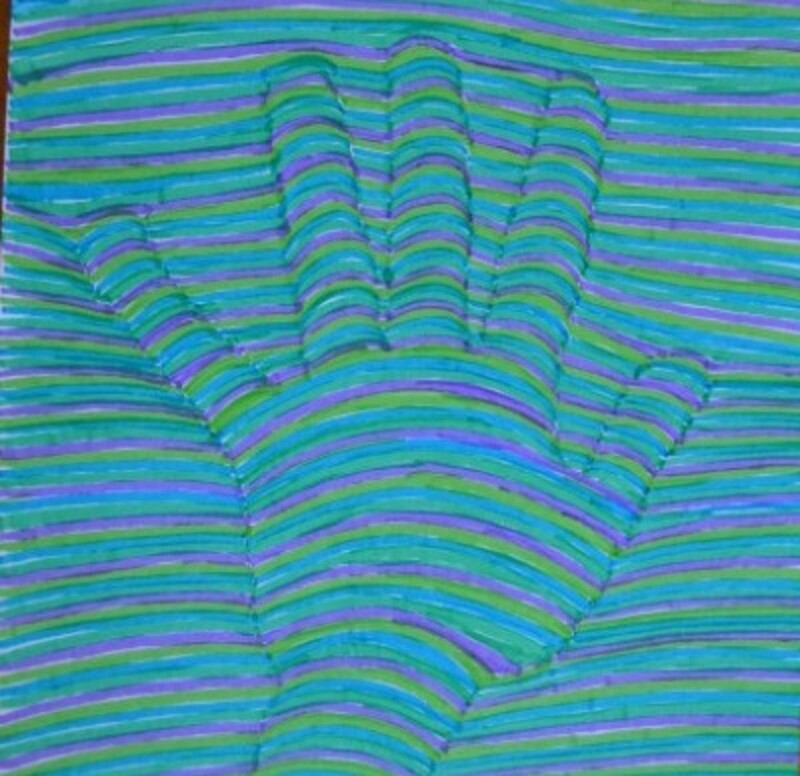 You'll find the secret to making this optical illusion handprint at Come Together Kids. Is your Mom or Dad always searching for a pencil? 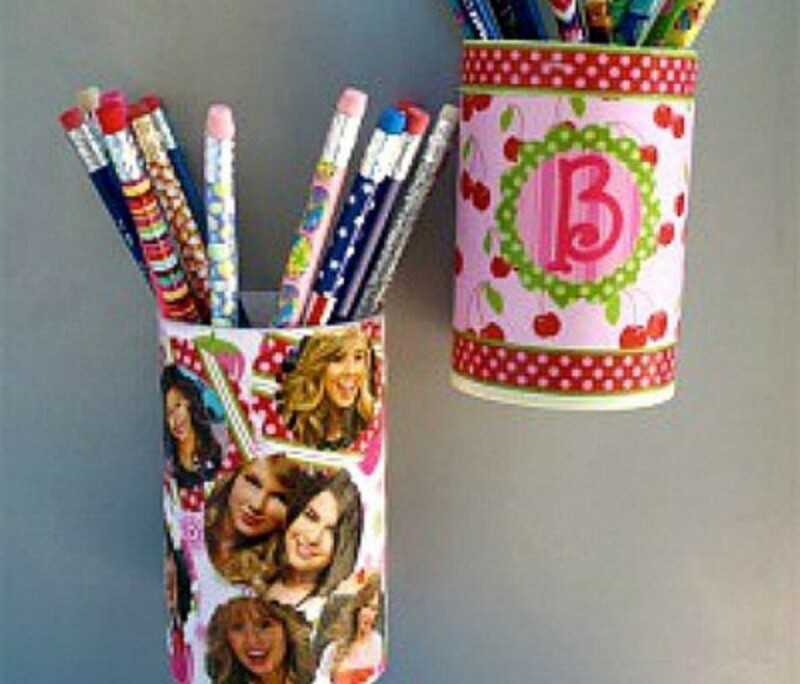 Make one of these magnetic pencil holders for the refrigerator and have pencils handy. 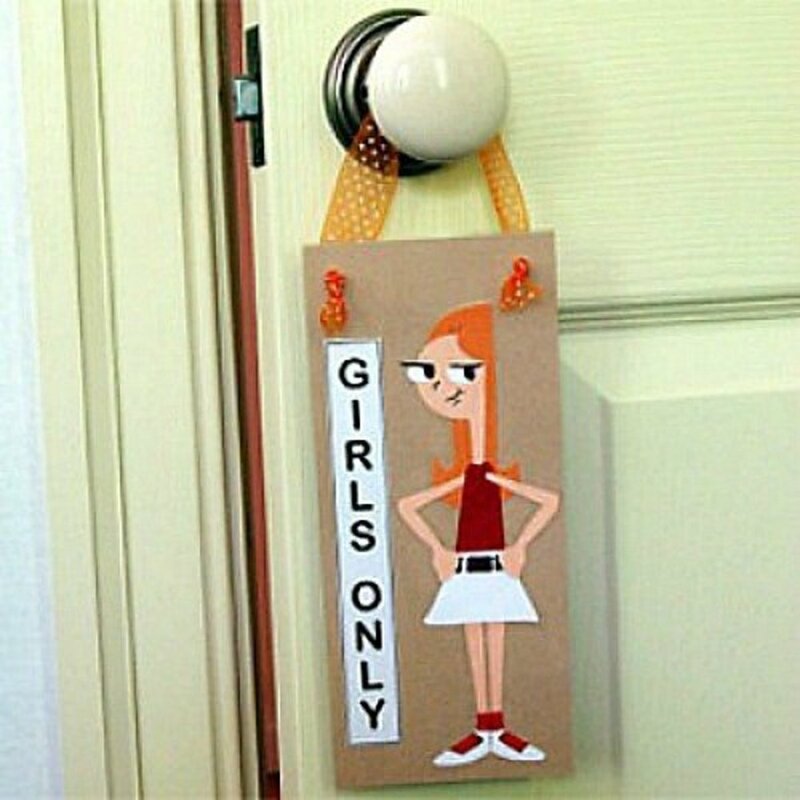 Make one for your locker at school too. 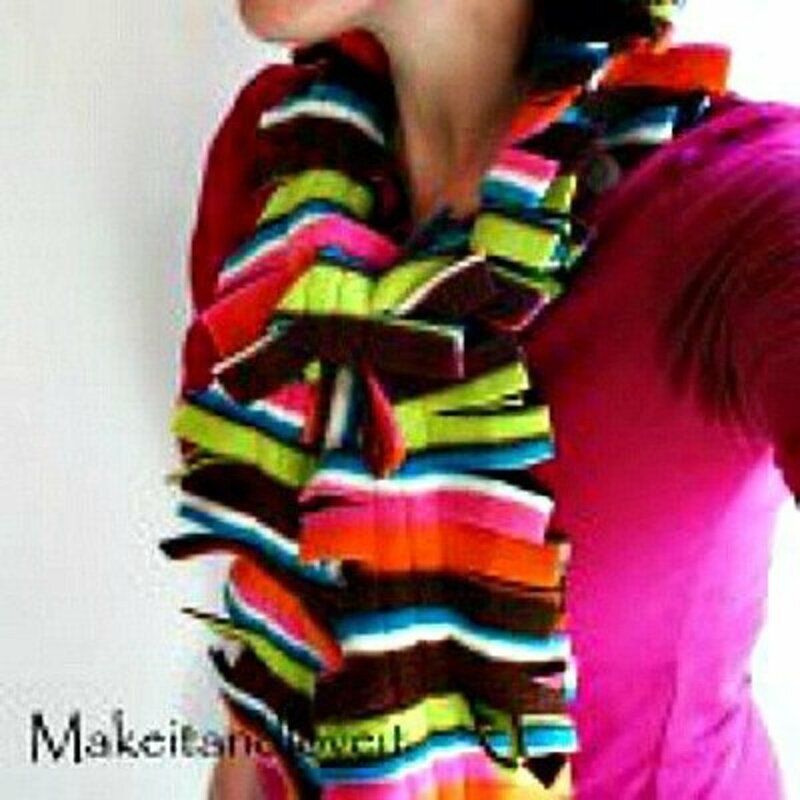 Go to alphamom to see how to make the holder. 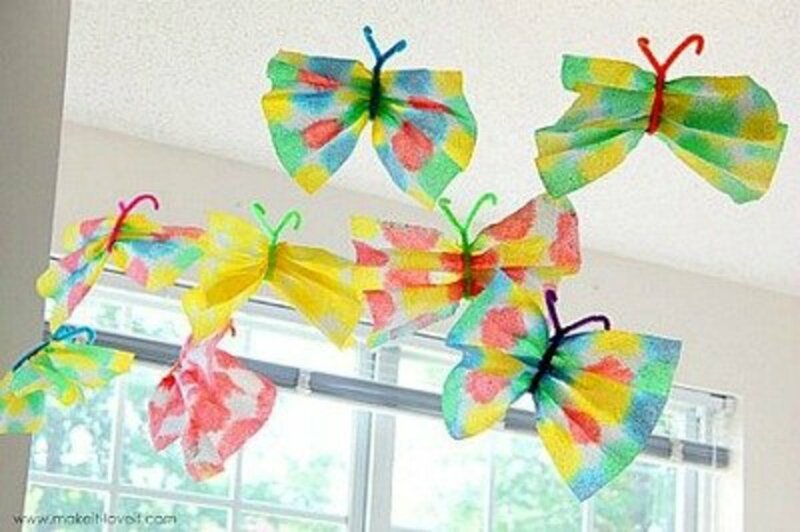 Make and hang some of these butterflies in your room or home to make everyone "think Spring." 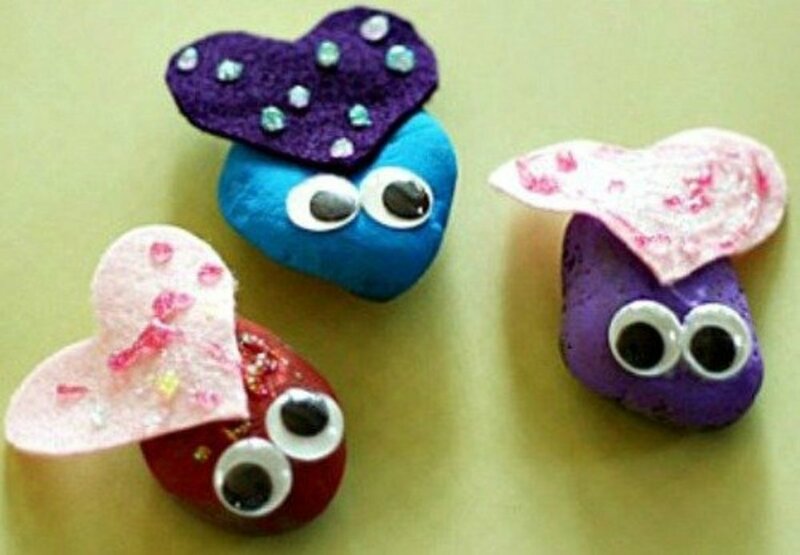 You'll find the instructions for making these cheerful butterflies at Skip to my Lou. 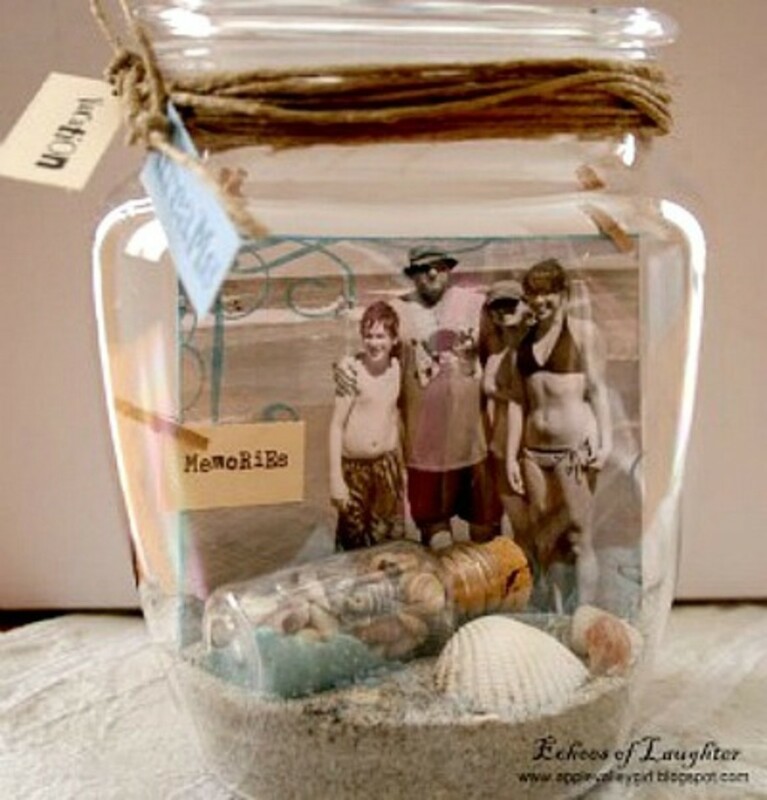 Remember all the fun the family had on vacation by making a memory jar. Use objects that remind you of your vacation and a picture. This is a great gift idea. Go to All Day Chic for the directions. A perfect gift!! This isn't hard to make, but carries a big message. You'll find the instructions at A DAY IN my life. These are made using pieces of a ruler. You may need help cutting the ruler into pieces, or you could cut heavy pieces of cardboard to make these. Go to MODGE PODGE ROCKS for the directions. 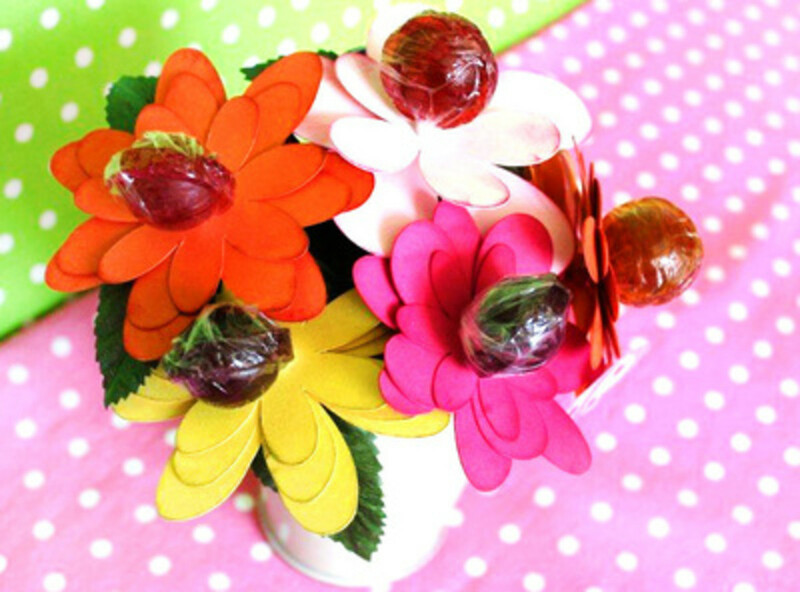 You'll be able to think of so many ways you can use these lollipop flowers for gifts. Go to DARLING DOODLES for all the information on this project. 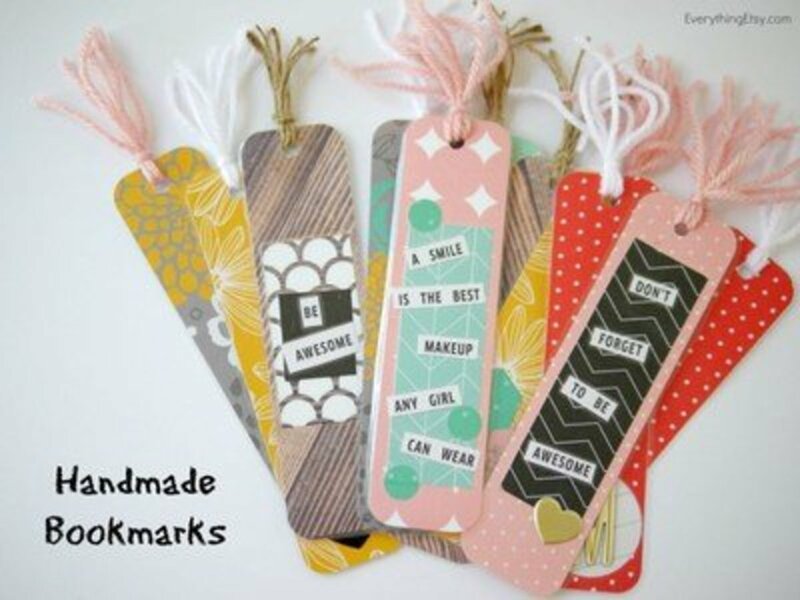 The tutorial for making these book marks is found at Tatertots and Jello. Consider using old calendar pages and old book pages for the background and words. 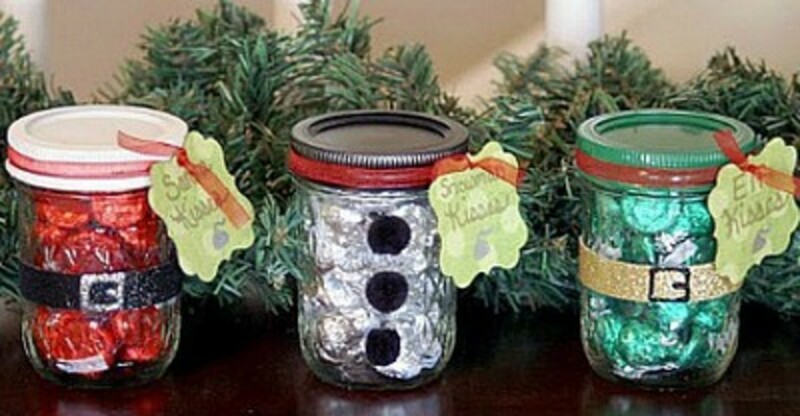 The kids will have a great time making treat jars to give as gifts. You'll find the instructions for making these treat jars at The Scrap Shoppe. Unless you have already learned how to use the sewing machine, you'll need help with sewing the lines of stitches down the middle of the fleece. This would make a great Christmas gift. Go to Make It & Love It for the instructions. These are really pretty and a decorator touch when made in colors to match the room. Go to HGTV for the easy directions. There are so many different sizes of lids to use for this project. 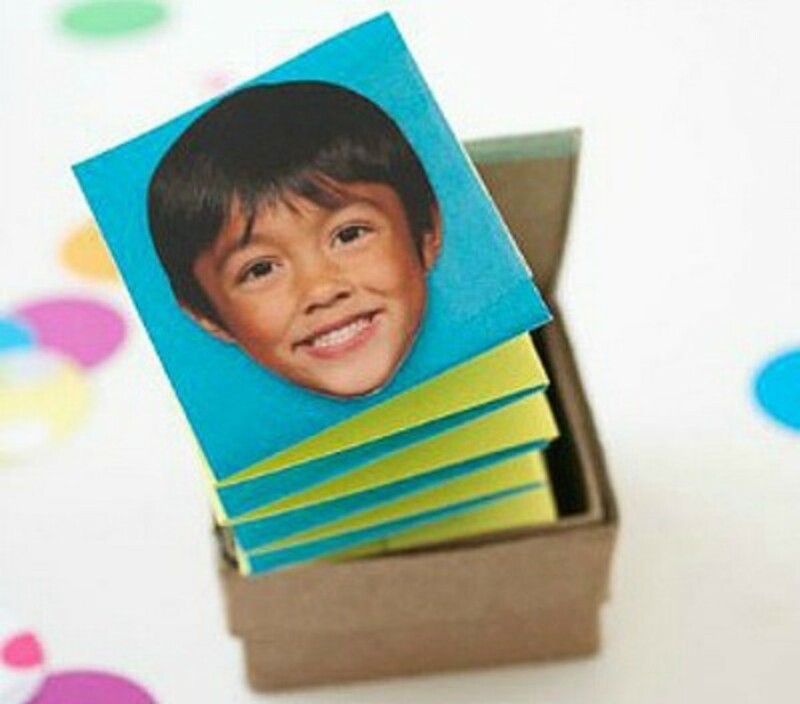 You'll find the directions on how to make these photo magnets at I LOVE TO CREATE. I absolutely love the looks of this twig frame. Dad's could display this on their desk at work. 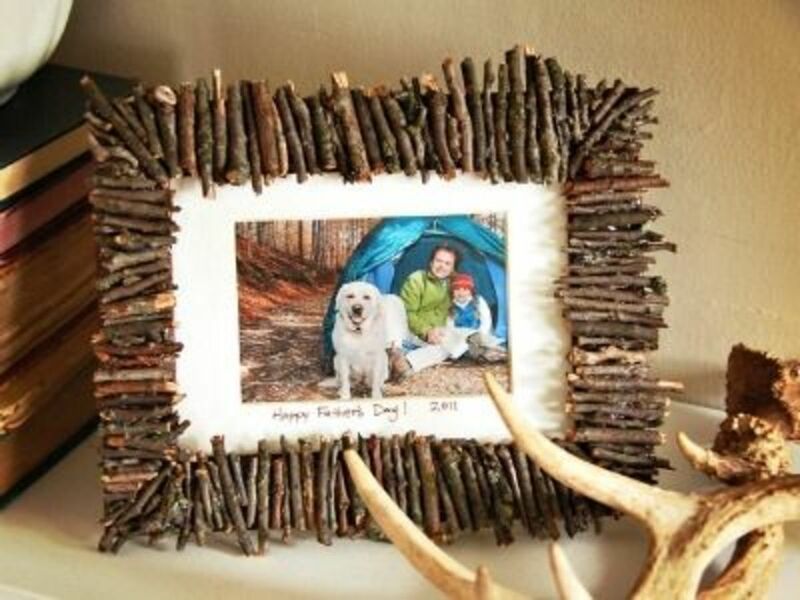 Find out how to make this frame at HGTV. 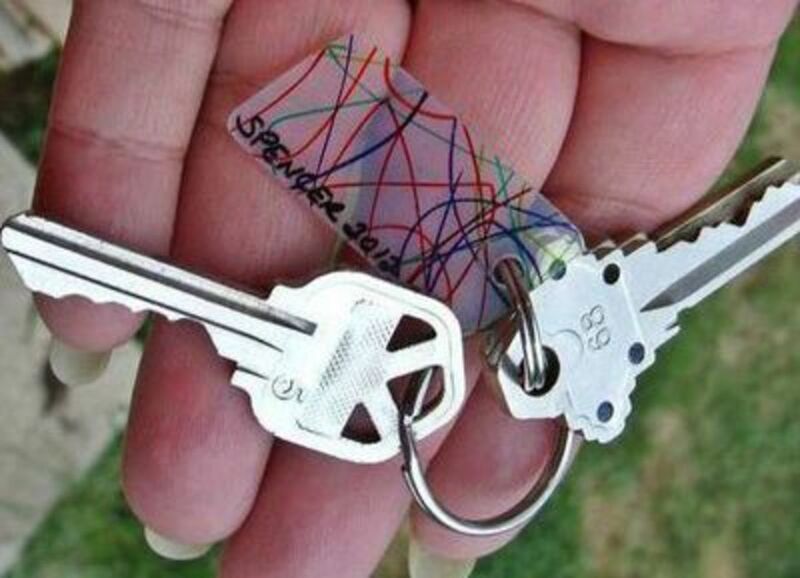 Here's a cute idea for using up old keys. 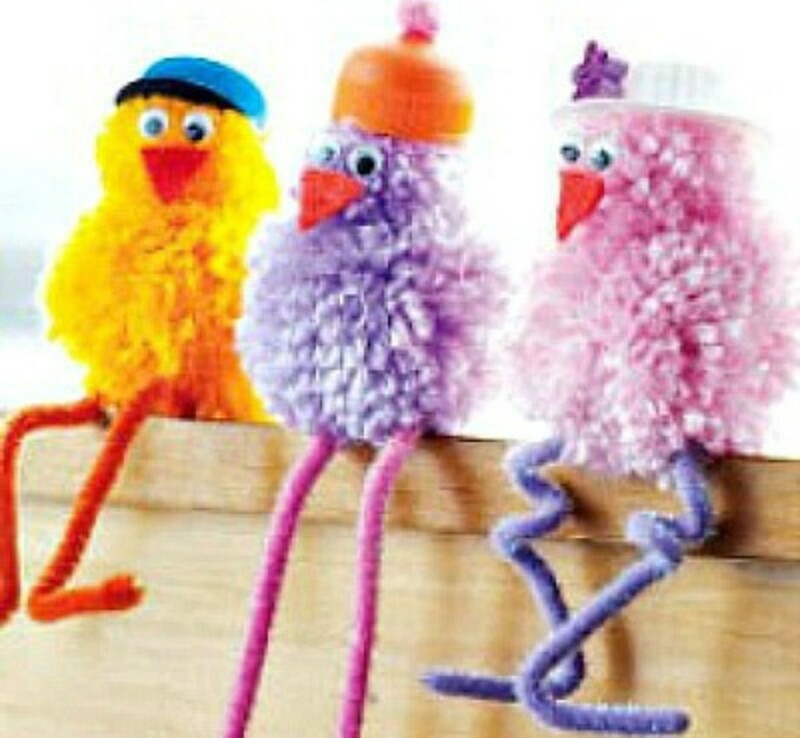 Find the instructions for making them at CRAFTS BY Amanda. Kids, an ornament like this will be an appreciated gift, no matter who you give it to. Consider using jar lids to make smaller ornaments. 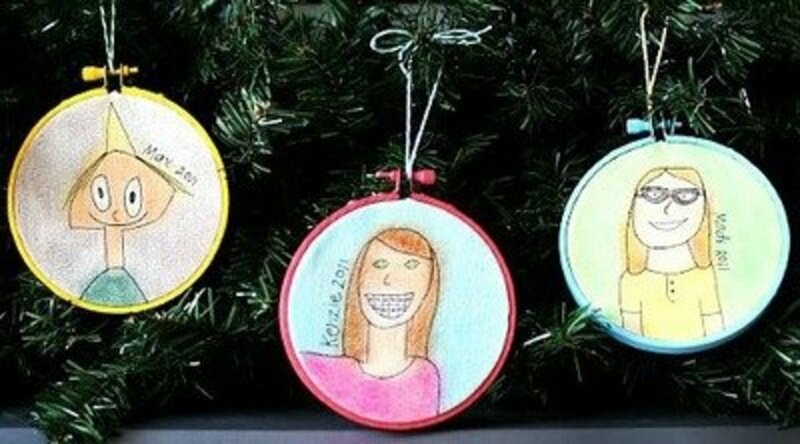 Find the directions to make these ornaments at Design Dazzle. 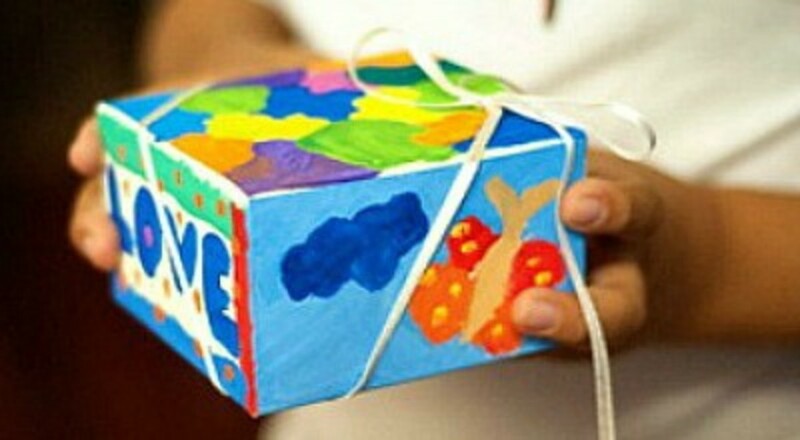 Use any little box for this project. Be sure to print off the poem to give with the box. Makes a great Mother's Day gift. Find the directions at lasso the moon. 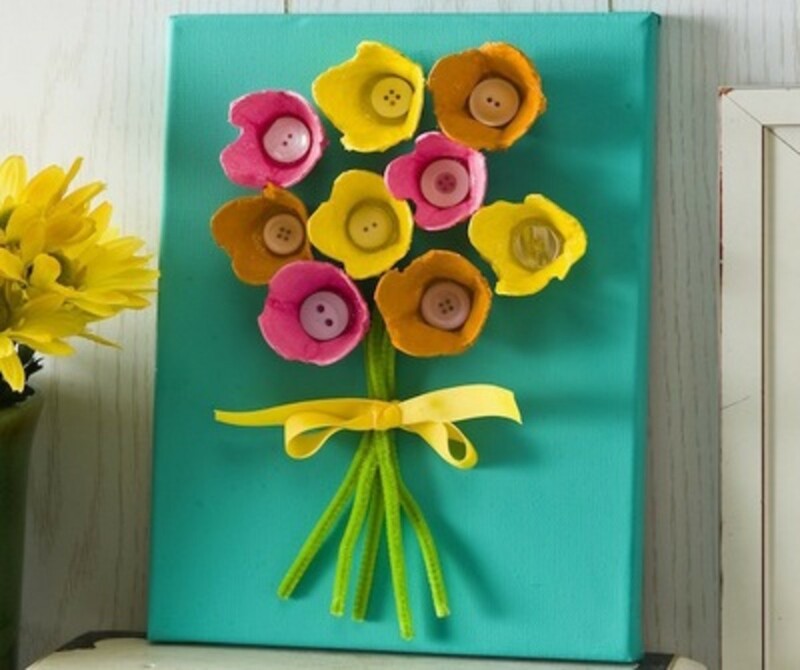 Doesn't this look like a fun gift to make? 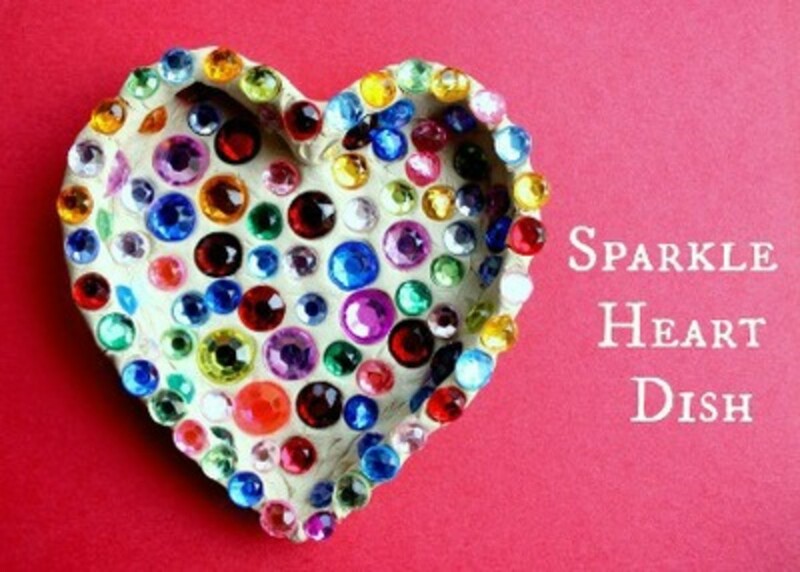 You can make one or two of these for anyone you want to make a gift for. Go to Canadian Living for the easy to understand instructions. 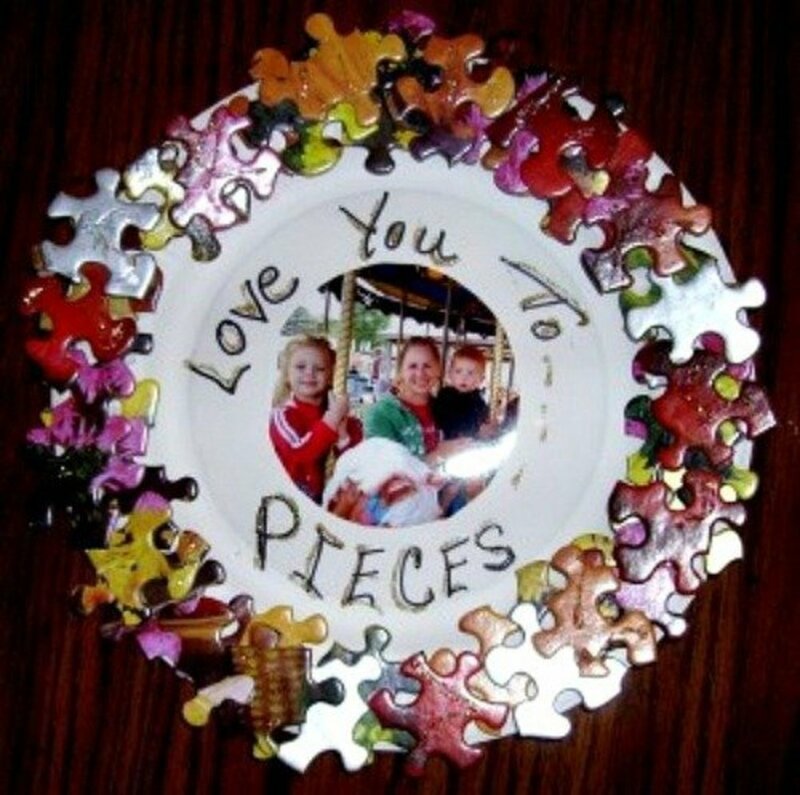 Make a beautiful dish like this to give to mom on Mother's day. Find the directions at Free Fun in Austin. 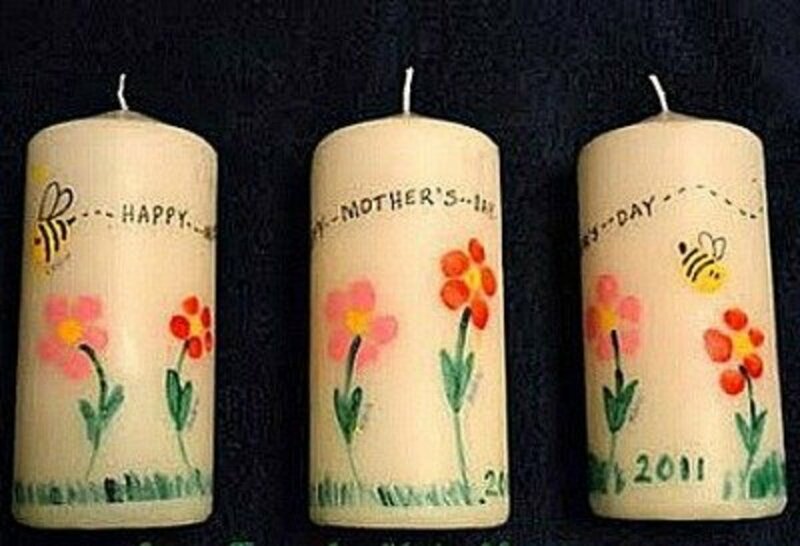 Make fingerprint flowers according to the directions found at Come Together Kids to make this beautiful keepsake candle. 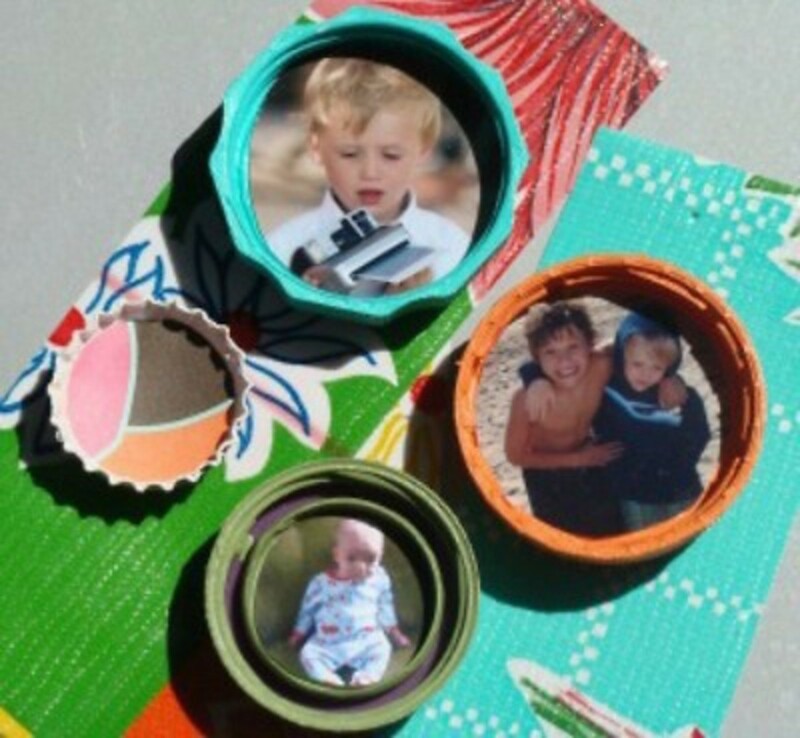 Making a gift using snack cups will be a lot of fun for the kids. 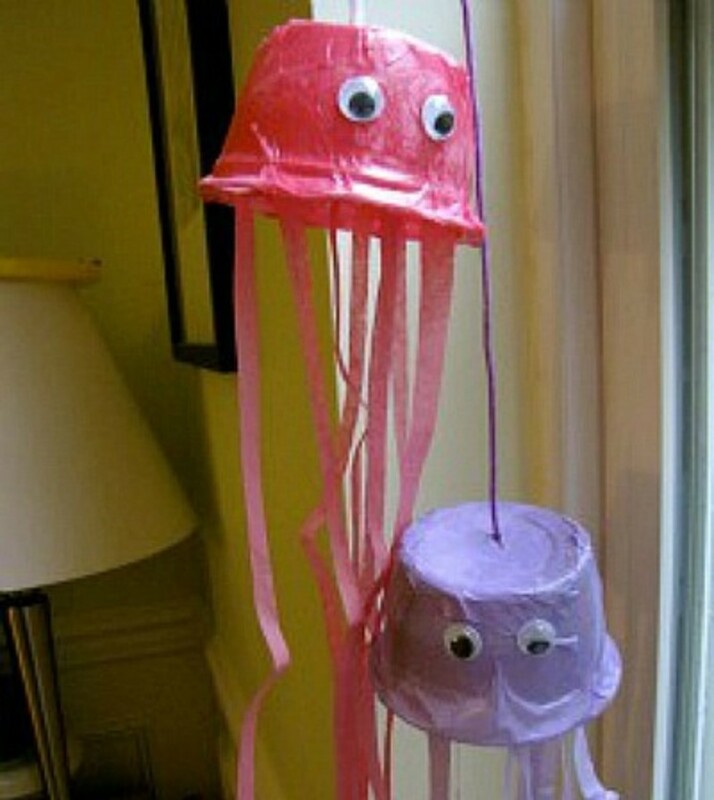 These jelly fish are very attractive and you can find the directions for making them at Creekside Learninn. 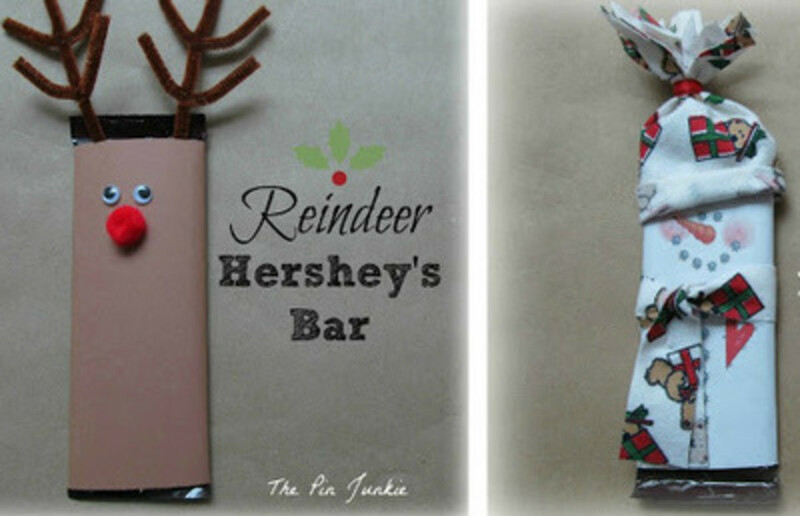 If you need to make a number of gifts, this candy bar sleeves idea will be just what you need. Go to The Pin Junkie and follow the instructions shown there. Surprise someone on April Fool's Day with this jack-in-the-box. They open the box and out "you" jump. 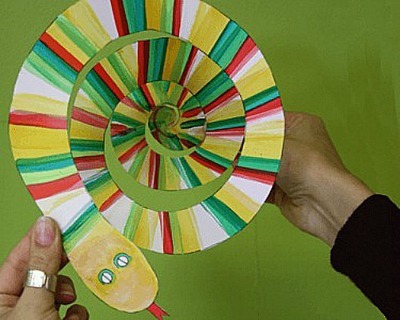 To make this project, go to DIY projects for Kids. 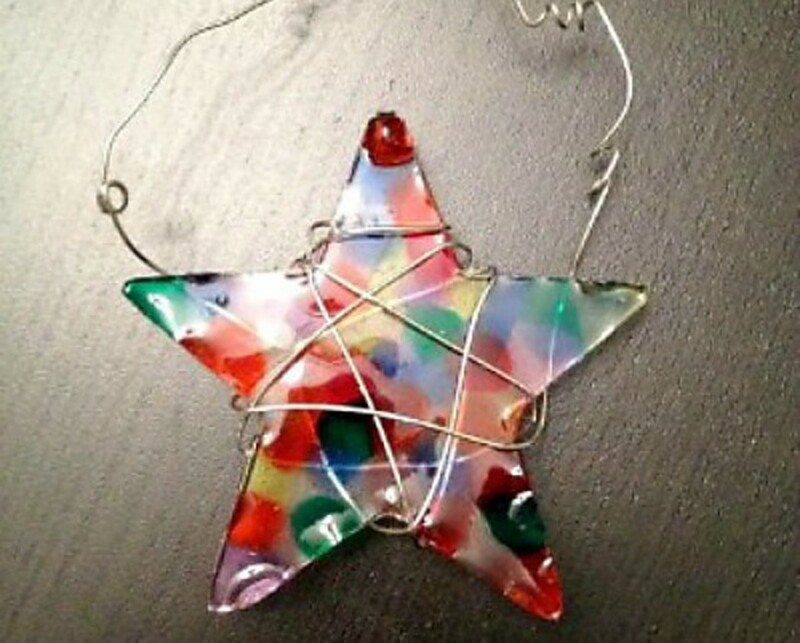 Be sure to read through the article at CraftyCreativeKathy to see that you can use plastic for this project. 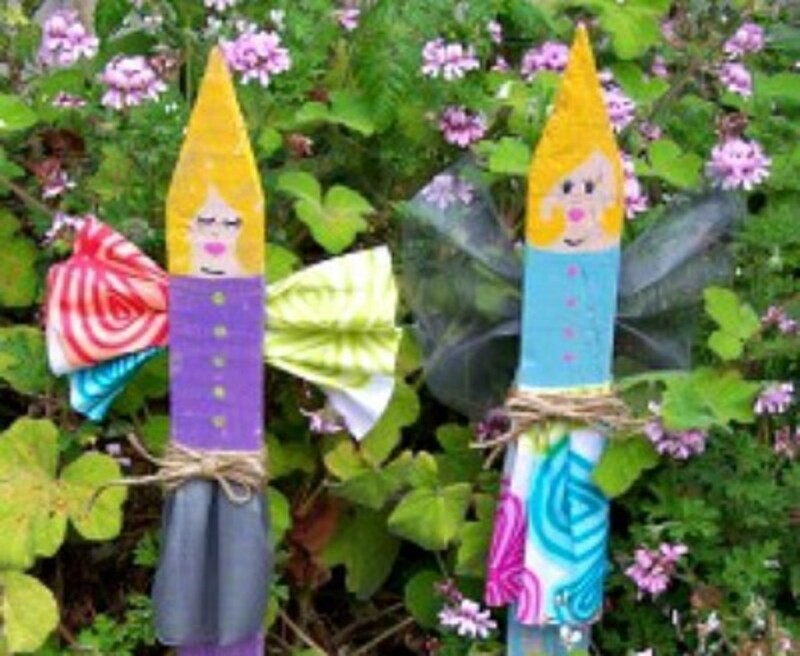 These are made using fence pickets, but you could use rulers or paint sticks instead. To see the directions for this project, go to Skip to my Lou. 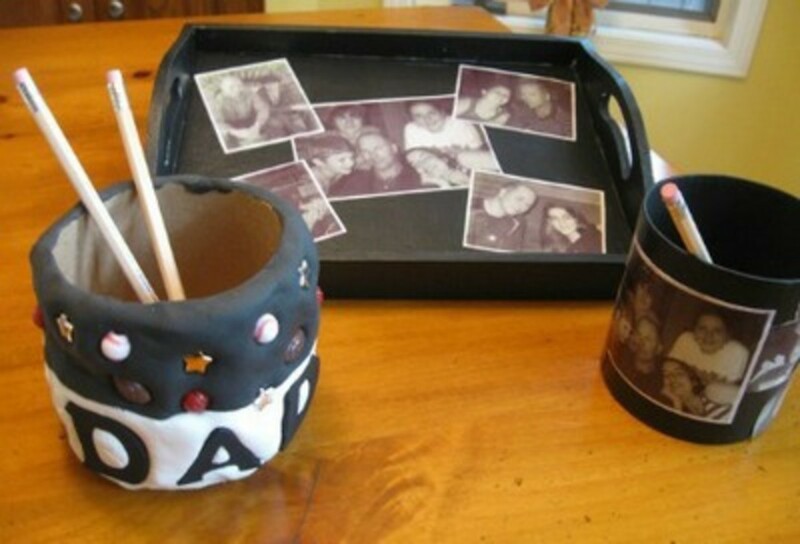 This great kids project and it's instructions are found at Mod Podge Rocks. Once the kids start making these monster bookmarks they'll want to give them as gifts to everyone they know. 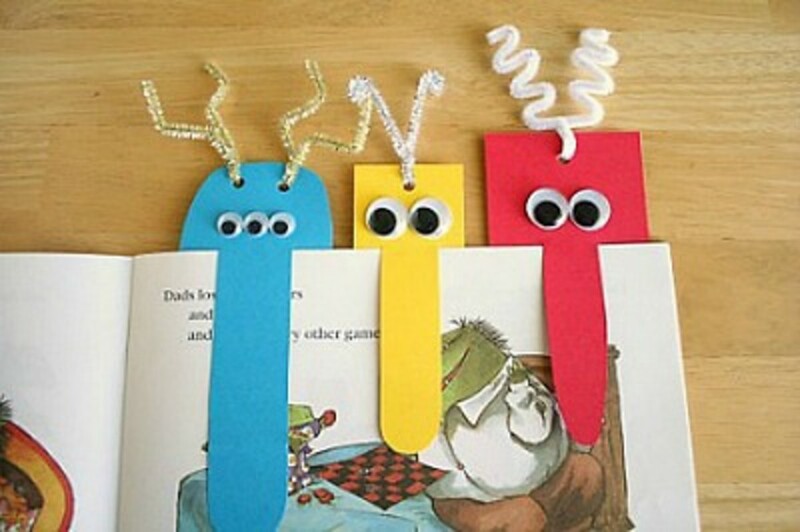 Find the instructions for making monster bookmarks at make and takes. The kids will find out how much fun it is to give gifts when they make the gifts they give. This a a great gift for one child to give to another. Find the instructions at Living Barefoot ! This will be a fun project to make and then to display outside. 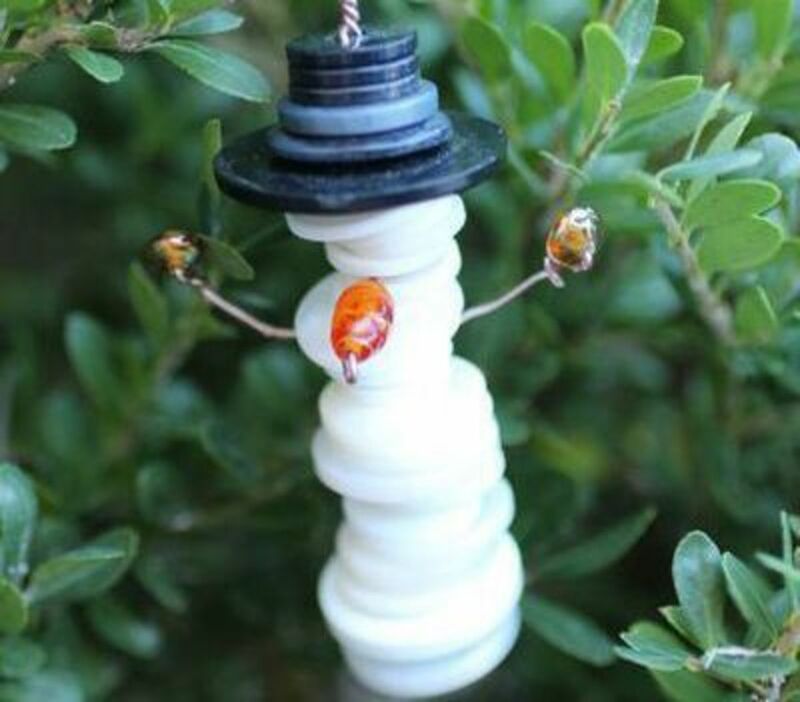 You'll find the directions for making these twirling ladybugs at CRAFTS BY Amanda. I've been trying to think of the last time I saw a metal bottle cap, so it may be difficult to find them. Of course, you can always improvise and use other small lids to make these magnets. 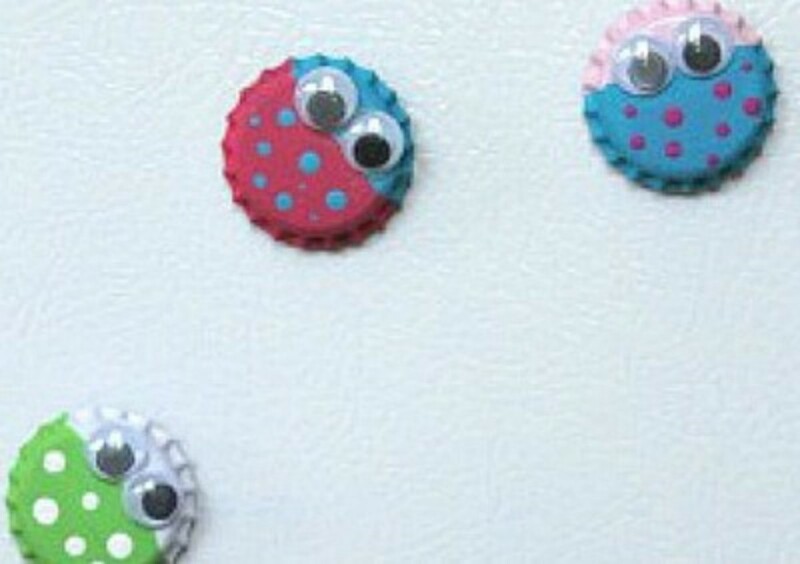 Go to THE COUNTRY CHIC COTTAGE for the instructions for making bottle cap magnets. 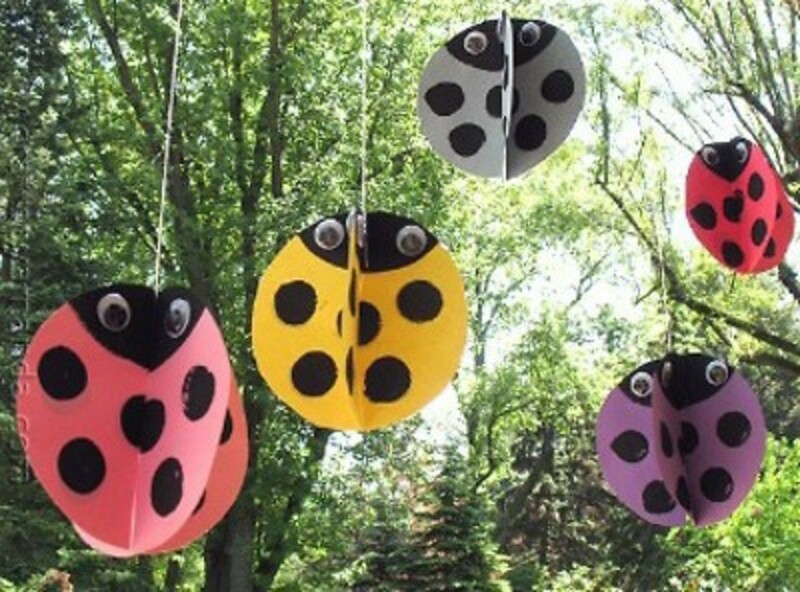 Kids can make fun bugs as gifts to give to their friends or siblings. 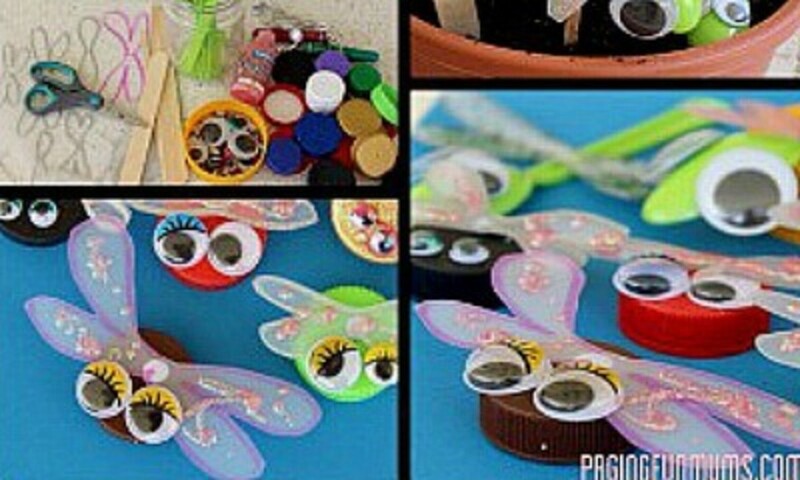 Making these bugs using plastic spoons and google eyes and lots of imagination will keep the kids busy and entertained for hours. Find the instructions at B-Inspired MAMA. 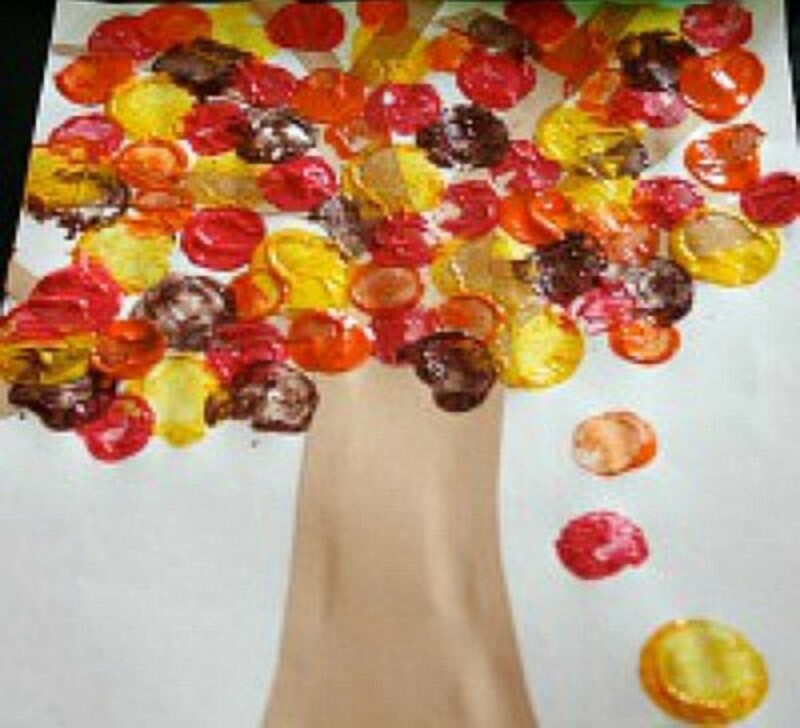 Even really little kids can paint a picture to give to Dad, Mom or to grandparents. A picture, using colors that the child especially loves, will be something that the recipient will want to hang at home or at the office. Find the instructions at THE PICKY APPLE. You're going to be surprised at how easy it is to make these little cuties. Go to Oh Baby for the instructions. 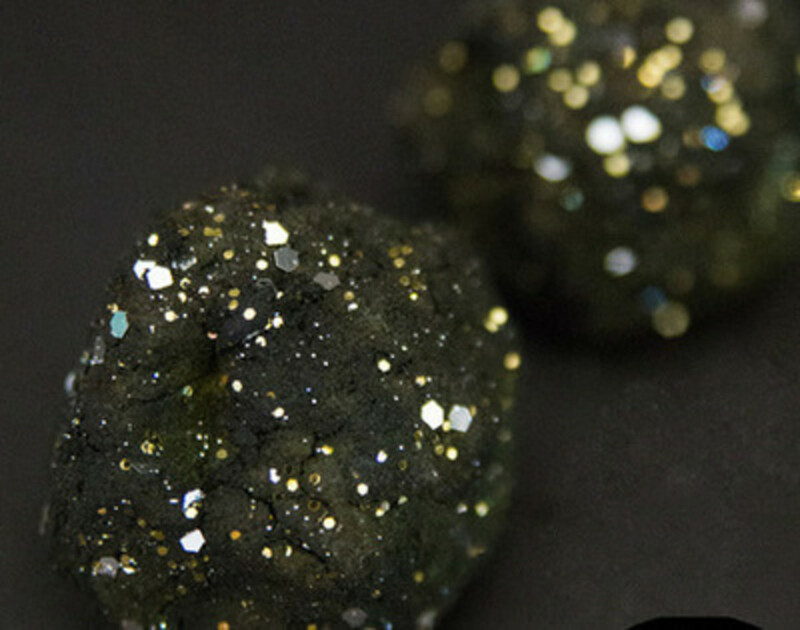 Make moon rocks to give as special gifts to special people. Find the tutorial for making moon rocks at The Crafting Chicks. 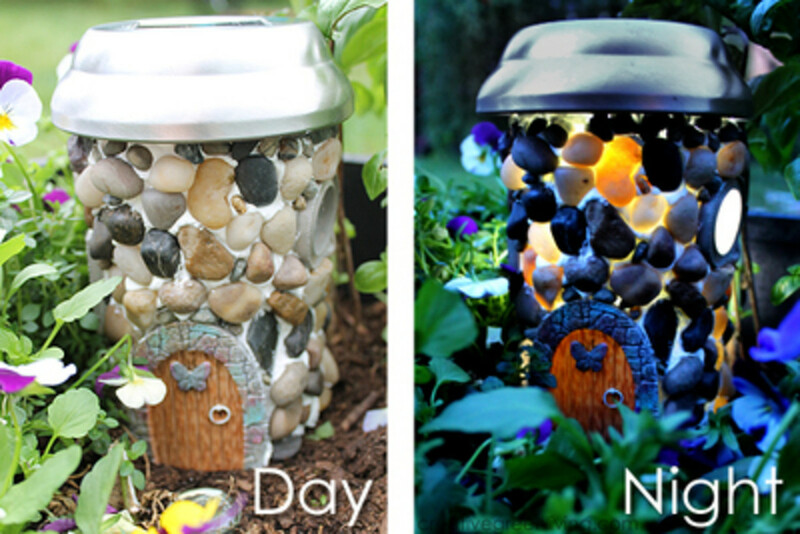 My granddaughter and I are going to make this for a fairy garden we plan on making this year. The tutorial is found at Creative Green Living. I love the solar idea.